Using a good facial cleanser is an important part of keeping your skin clean and clear. The great thing about combining it with vitamin C is the anti-aging, antioxidant, and anti-acne properties it gives you. 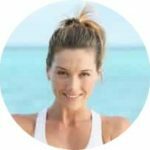 In fact, with regular use, it’s scientifically proven to improve your complexion, reduce lines and wrinkles, and leave you looking more youthful. We’ve researched over 15 of the best vitamin C facial cleansers on the market to find our favorites. In our buying guide, we’ll tell you the key things to help you make a selection. And show you the best products that meet our criteria. You can find the product reviews below the buying guide. 1.1 How Much Vitamin C Does It Contain? 1.3 Does It Contain An Exfoliator? 1.4 What Other Ingredients Does It Contain? 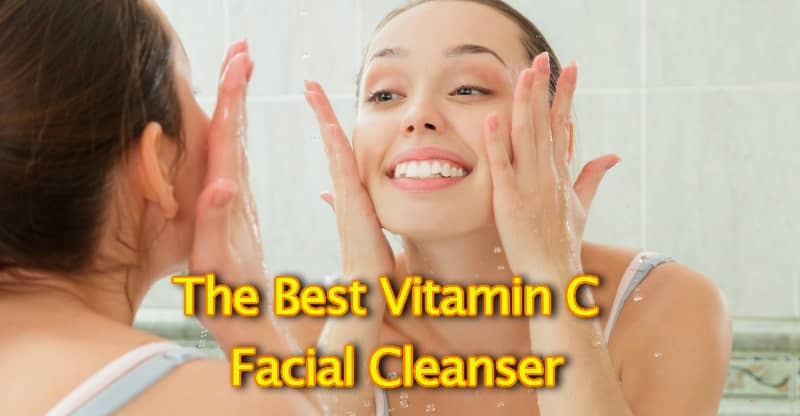 3.1 What Are The Benefits Of A Vitamin C Cleanser? How Much Vitamin C Does It Contain? The presence of vitamin C in a product is a big selling point. Unfortunately, it won’t surprise you to hear that there are products being advertised as vitamin C cleansers that in fact only contain a very small amount of the ingredient. In my opinion, while they are factually correct (they do contain it), this is a bit misleading. It might be a long way from being the main active ingredient. So, it’s a good idea to check exactly what the vitamin C concentration is in a product before purchasing. Good cleansers are usually in the 5-15% range. There are a number of different types of vitamin C used in skincare products. But, for a good cleanser, it’s important to have a type that isn’t easily oxidized when it’s exposed to the air. This will give it a long shelf-life. Does It Contain An Exfoliator? Some products contain an exfoliating agent to help to unblock pores and remove dead skin cells from your face. But not all do. So again, it’s a good idea to check the product description and the list of ingredients in your vitamin C cleanser if this is something that you want. Common exfoliators can include organic acids like glycolic, lactic, and salicylic. Or sometimes fine abrasive beads. This can leave you with smooth and glowing skin. And can help to reduce fine lines. It’s also popular in face washes that target acne. But it’s worth realizing that not everyone likes having an exfoliator in their face wash because it can be drying. Ideally, you want to see lots of natural and organic ingredients in your cleanser. But unfortunately, most of them aren’t like this. Because while not all chemical ingredients are bad, there are some that have a controversial track record. They are claimed to cause skin irritation and other problems. Stay on the safe side and avoid these in your cleanser. This product from Amara Organics is USA made and comes in a 6 oz bottle. There are no harsh chemicals, parabens, sulfates, dyes, fragrances, or artificial colors involved. Just organic and natural ingredients. And it’s suitable for vegans. Olive oil and borage oil to keep the skin moisturized and prevent it feeling dry. Most people find it to be a mild and gentle cleanser. But some people with sensitive skin find it too harsh. And you have to be careful when using it to avoid your eyes as it can sting. This product by Body Merry comes in a 6 oz bottle with a pump dispenser. It’s leaping bunny certified which proves that it’s animal-cruelty free. And is also suitable for vegans. This is an exfoliating face wash. It uses jojoba wax beads to gently remove dead skin when you rub it into your face. Its exfoliating action unclogs blocked pores and removes grime and dirt from the surface. However, some people find that the beads are not very effective. The vitamin C is sodium ascorbyl phosphate at 10% concentration. Doesn’t remove all makeup. So makeup removal has to be done before washing with this. This product from InstaNatural comes in a 6.7 oz bottle with a pump lid. It’s packed full of powerful antioxidants that give anti-aging protection. Green tea extract. This acts as an antioxidant, and controls sebum production for people with oily skin. It’s also useful for acne treatment. Aloe leaf juice to soothe and moisturize. This product is great for minimizing and clearing blocked pores. And it can also eliminate blackheads and whiteheads. Giving you a fresh and clear complexion. It contains many naturally derived ingredients and has a pleasant light citrus smell. It’s very gentle and is good for all skin types: oily, combination, normal, dry, and sensitive. And leaves your face feeling soft and smooth with a healthy glow. This product by TruSkin comes in a 4 oz bottle. It contains 15% vitamin C which is present in the form of sodium ascorbyl phosphate. After using this for facial cleansing you feel soft, smooth, and non-greasy. And it doesn’t leave you feeling dry. Those who suffer from sensitivity are also generally happy with this product, stating that it doesn’t cause rashes or itchiness. And it lasts a long time because you only to need to use a small amount. This facial wash by Eve Hansen comes in an 8 oz bottle and has been carefully formulated and made in the USA. It contains sodium ascorbyl phosphate. It also features natural ingredients that can clear blocked pores of dead skin, dirt, and bacteria. Making it excellent for skincare and reducing acne and blemishes. And it can also provide antioxidant protection. Aloe vera juice helps to soothe irritation and inflammation. Most people find it to be gentle. This is because it doesn’t contain any harsh chemicals. Although some people with dry and sensitive skin report it being too drying. Even if you are someone who doesn’t usually wear makeup, it’s still important to make sure you use a good facial cleanser. You see, if you don’t cleanse properly it can lead to beauty problems. Dirt, bacteria, and the residues of pollutants in your environment can block your pores if they are allowed to build up. Leading to acne outbreaks and blemishes. Because makeup remover wipes often aren’t enough to get the job done on their own. Cleansing will also help any other products that you’re using afterward, such as moisturizers or serums. These can then fully penetrate and have the greatest effect. What Are The Benefits Of A Vitamin C Cleanser? Vitamin C is a skincare favorite. It’s the perfect natural ingredient to add to a high-quality face wash or cleanser. Firstly, it’s a powerful antioxidant that can protect your skin from the damage caused by exposure to sunlight (1). Which means fewer lines and wrinkles appearing as you age. Anything that keeps them away has got to be great, right? It can also stimulate collagen production, reducing the appearance of any existing lines and wrinkles that you already have! Making it a bonafide anti-aging powerhouse. It fades scars and blemishes, lightens dark spots, and protects it from outbreaks of acne (2). Keeping your complexion clear, bright, and beautiful. Using a high-quality vitamin C cleanser, or the best face wash with vitamin C, is wonderful for skincare. 1. First, make sure your hands are washed and use a small amount of warm water to splash over your face. 2. Put a small amount of your favorite vitamin C cleanser between your fingers or onto a washcloth. 3. Using a circular motion, gently rub it into your skin. Continue until you have removed all dirt and beauty products. 4. Use lukewarm water to thoroughly rinse it off your face. 5. Use a fresh towel to pat your face dry. Daily facial cleansing is a great way to clean your skin and protect it from infection. And when your cleanser contains vitamin C, you also get the beauty benefits of its anti-aging properties. We fully recommend all the brands listed above as great to add to your skincare routine. But our best vitamin C face cleanser is Amara Organics.